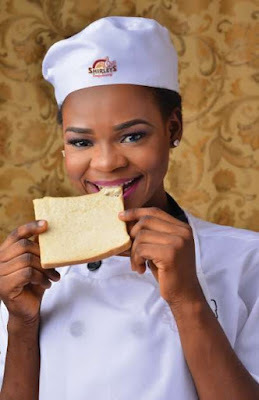 The story of Olajumoke Orisaguna, a bread seller turned model remains the best fairytale of the year 2016. She was discovered by chance after photobombing TY Bello's photoshoot with Tinie Tempah. The latter was to cover the page of the popular ThisDay Magazine. With no hidden agenda whatsoever, Orisaguna caught the attention of social media users after Bello posted one of the pictures from the photo session. The interest in the bread seller gave her the opportunity to become the unlikeliest model known to Nigerians. Many brands were keen about utilizing the buzz that surrounded the model to make themselves more popular with their so-called "Social Responsibility". This went in favour of Orisaguna, who received various endorsement such as an apartment in a highbrow area of Lagos, an enrolment at a modeling agency which is expected to turn her into the perfect model. Many months have passed and the former bread seller has re-emerged with her brushed up personality, easily deduced from her current English speaking ability.